REALLY? 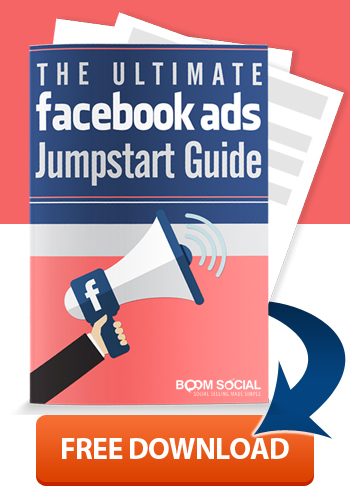 Facebook Pages is Changing AGAIN? 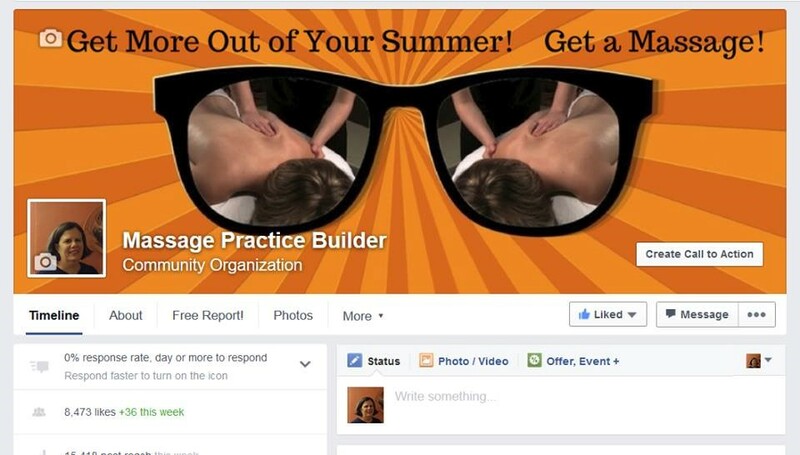 Just when you think you’ve got Facebook pages figured out, they go and change them again :-)! REALLY? Facebook Pages is Changing AGAIN? Yep! 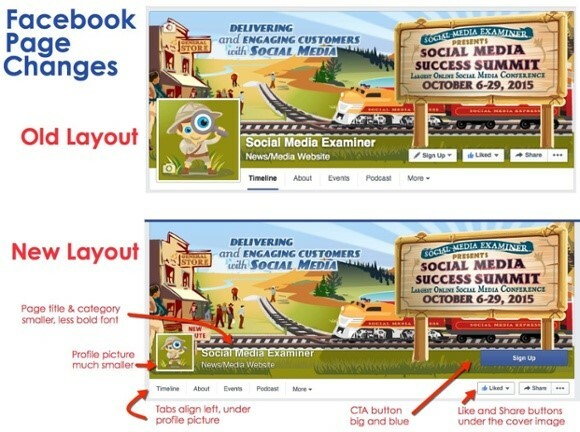 Facebook has been busy rolling out changes to page layouts over the past week or so, however the updates are subtle enough that you may not yet have noticed them. To this point, Facebook has been rather silent on the matter; it’s only as the changes are actually being rolled out that we’re learning exactly what’s different and what’s staying the same! While most US page owners should now be switched over to the new layout, not all users report being able to see the changes – so even if a page has been switched to the new layout, not all users who view that page will necessarily see the changes. Here’s a brief summary of the changes that are being rolled out. As you can see in the screenshot above, the profile picture is much smaller in the new layout, and is now fully contained within the cover photo area (it doesn’t dip down below). While most page owners won’t need to do anything to accommodate this change, those who have integrated their profile picture with their cover photo design may need to make some minor design changes. Along with the smaller profile picture, the page name and category are also smaller. While tabs (‘About’, ‘Events’, etc.) were previously centered, they are now on the far left of the page under the profile picture. The ‘Like’ and ‘Share’ buttons have now been moved underneath the CTA button, to the right of the tabs. Some users have also reported seeing the CTA button on the left, under the tabs. And if you haven’t yet set up your CTA button, now’s the time: admins who haven’t yet set up the button have reported seeing a white ‘Create Call to Action’ button in its place! On mobile, the CTA button appears to be even more prominent, taking up the whole width of the screen underneath the tabs bar. Even more incentive to make sure you have your button set up! 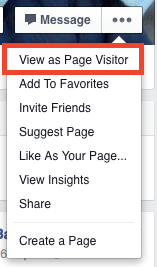 Apart from the changes to page layouts, page admins should also now be seeing a View as Page Visitor button. This allows admins to see exactly what their visitors see! To access this feature, click on the button with the 3 dots next to ‘Message’ on your page, then on ‘View as Page Visitor’. This feature will be especially useful in light of all the other changes we’re seeing to pages. 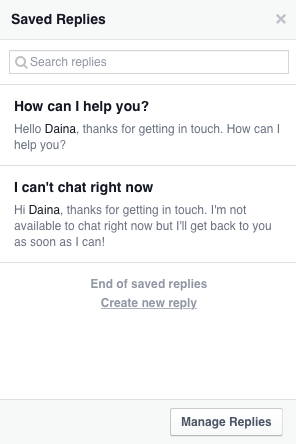 Facebook has also recently introduced Saved Replies to streamline messaging for pages. This feature, which now appears to be available to all page admins, lets page owners create and access templates for their private replies. This feature comes with 2 built-in templates (see screenshot) below, or you can click on ‘Manage Replies’ to create a new template. If you don’t meet these 2 criteria, you will still see responsiveness info, but it will ONLY be available to page admins. If you’re not seeing all these changes yet on your own page (or anyone else’s), don’t panic! I’m hearing that many of these changes may currently only be available for US pages. I would expect to see this rolling out globally over the next couple of weeks! 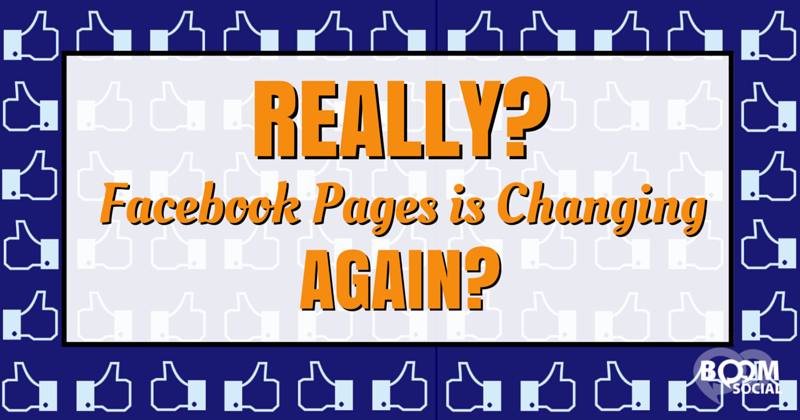 So what do you think of the fact that Facebook Pages is Changing AGAIN? Are you seeing these changes to your page? If so, share a screenshot below! thank you for the info, Kim! I am not seeing this on my personal page…is the change for businesses only? Look what Dee just posted..Yes indeed…it’s L’occitane giveaway time! Like all of Facebook’s changes, they are rolled out incrementally. I don’t have the changes yet either :-(. Like posts like yours which summarizes those. I really like the more defined call to action! I also don’t mind the smaller profile pic. I’m interested in the “very responsive to messages” icon… I haven’t actually seen it yet. Anyone else? Thanks for this post Kim!! Great info, I look forward to this positive change that will help me and my clients get more CTA real estate on the page (especially on mobile!). Look what Cheryl Sameit just posted..One Simple Technique CRUCIAL to Your Success! Must be a slow roll out on the pages. Usually I get the updated pages pretty quickly but I am not seeing this just yet. Not sure how I feel about it until I see it in action. Thanks for the heads up Kim!! I’m seeing all of the changes noted here except my Call to Action button is not blue. Not sure if that’s dependent on which one the user is utilizing? Still much more noticeable than before. Thanks for sharing great info! Have you edited your button yet? It only changes color once you edit. Ch-ch-ch-ch-Changes haven’t come to my page yet, but thanks for the heads up! Finally a change that won’t frustrate users. Thanks for being ahead of the game. Great summary, Kim! We’re not seeing it on our page either (yet) but I know we’ll need to make some adjustments so that the cover image and the Call to Action integrate nicely. Thanks for the information. Though , I don’t see this on my page or is it only for USA residents. Good. I will be watching out. Thanks so much Kim. I’ve had some clients complain over the last few days that their pages were acting kinda wonky. Is it possible that these changes that were being implemented could have caused this? Any time Facebook changes things, there are hiccups for sure. The changes haven’t been rolled out to the rest of the world yet though on the face of it, I like it. More banner to play with and a lovely big CTA button. Excellent point, we often get comments in during hours we’re sleeping! As long as the badge is just that and doesn’t affect the Edge ranking small businesses will probably all live without the badge. We have a page – Octopulse (facebook.com/Octopulse ) – and there are actually a lot of messages we have never replied to but we somehow got the “Very Responsive to messages” badge. It seems to not be there as of today, but I’m sure we didn’t deserve it at all even when it was there. Thanks Kim for the update. I’ll keep an eye out for these changes!! I heard about this earlier this morning (I’m in the UK) and haven’t seen any particular changes on my page or any Facebook page for that matter. Thanks for the Facebook update Kim. See you on Friday! Look what Wambui Githire-Mburu just posted..Is Your Pricing Strategy Hurting or Boosting Your Business? FYI, I’ve had the new images on my Facebook pages in the UK since the day Mari posted the updates. But, I have other friends here who only see the old style. I guess we’ll have to be responding in our sleep then! For those of us with international followers, it’ll be virtually impossible to get the ‘Very responsive to messages’ icon. Thanks for the info! A bit excessive in my opinion! “You must have a 5 minute (!) median response time for replies” — This seems a little strict. HOw many companies, really, would fit this criteria? All changes roll out incrementally with Facebook. Not sure when all will have them. You are always right on point! I am yet to see this options on any of my pages. Good info to based our revisions from. MAybe I have to get an update or is this a gradual change for all pages? No everyone has the changes yet. Facebook rolls changes out in stages. What is the date for these changes? They will roll out incrementally, as do almost all Facebook changes. That is good timing. I was thinking of having my avatar blend with my background pic but thought “what happens if this changes?”. I won’t bother now as I’m sure they will change this again at some point. Love the call to action standing out more, just need to sort mine out now! Thanks for this post, Kim. It’s great to be updated. Glad you found it helpful, Anna! Thanks for the article Kim, I love the new layout and find it easier on the eye too!!! Hi-Fives to Facebook for working with businesses, big and small to create some positive changes. 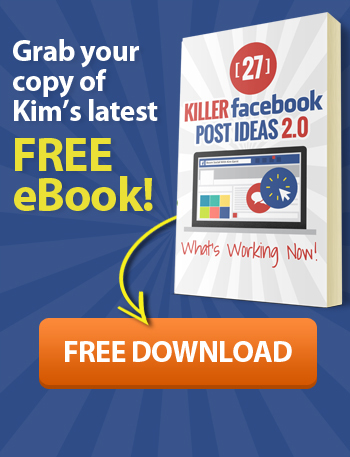 Also, I check out your blog post, “10 things never to post on your Facebook Business Page”. I didn’t realize that “Like and share posts” are against their guidelines. Good to know. Thanks. I have a question about the posts. When I make a post on my business page, it now goes to the left hand side instead of big and up front & center. I don’t like that. You are posting as your personal profile instead of your page. Just need use your page instead of your personal profile. Thank you so much Kim for your very informative post. My business FB page has been updated to the new format. I think I like it. ? The ‘Call To Action’ button is front centre and very noticeable. I give it a Thumbs Up ? I’m using an app to my browser called “Social Media Fixer”. It reformats one’s page it’s own way, so I’d notice Facebook reconfigurations less. Thank you for the heads up. I did notice the “Very responsive to messages” icon on my page for a couple of weeks now. I also noticed the “Saved Replies” for private messages but the rest was new to me. For me the CTA button is underneath the tabs bar. I can’t seem to upload a screenshot here but you can view it at http://www.facebook.com/SeeYouThereInvitations. Thanks for keeping us updated on social media changes. Despite the fact that not all the changes can be seen at first sight, I think that they are important. Most of the changes are done for improving of the user experience. Haha! The title made me smile. 🙂 What I like about the new changes in Facebook pages is that the CTA is larger! We all want to hook the readers, so the CTA can play a key role in doing that.